The capital of northern Israel. The largest city in the north and the 3 rd place in Israeli major cities. It is a port city & industry center of Israeli education. Haifa is a home for one of the most beautiful temples in the world – the bahaim temple. This beautiful culture attracts many tourists from Israel and all over the world, to Haifa. The temple is surrounded with spectacular gardens. Also in Haifa you will find a zoo, the national museum of science, technology, and space, the Stella Maris church, and many trips in the Carmel forests. Haifa is truly a master piece in Israeli culture. 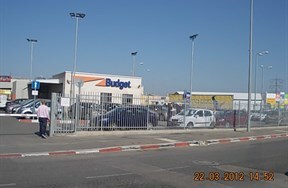 Haifa Car Rental: all reservation done in the website. The car will wait for you in our agency in Haifa .